Casino Luck just recently launched the brand new video slot Space Wars, and to celebrate you can get free spins and iPad minis. 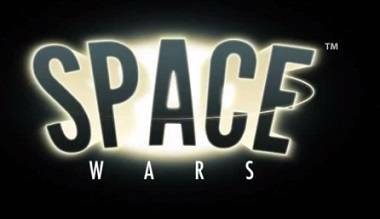 So this great casino, CasinoLuck, recently launched a brand new video slot called Space Wars. The casino will be throwing away 50 free spins to each new customer up until the end of June on this video slot. During the campaign period, they will also be giving away iPad Minis in draws held every week. As such new players will receive 50 free spins at Space Wars and they will also get a 100% match bonus on their first deposit (min $20). With every $ 20 deposited, you will earn a ticket into a weekly draw for an iPad mini. So the more you deposit, the greater your chances of winning the iPad mini are. Simply just register an account with CasinoLuck to get your 50 free spins in Space Wars and the chance to win an iPad mini. Make a first deposit of $ 20 or more, and send an email to support with the subject "Space 50" to get the 50 free spins. Please note that this promotion is only valid for new customers making their first deposit during May and June this year. Free spins are only given once per customer, per household, per shared computer, per shared address and per shared IP address and will be credited within 36 hours from emailing support. 9 iPad minis will ge given away during the promotion and winners will be drawn each Monday, from May 6th to June 30th. 4 New Games Plus Win Mega Fortune 3.8M Jackpot!